Charlotte Walker met Sambaji and his family on a visit to India last year. Here, she explains how his life has been affected by leprosy, but also how it could be transformed. 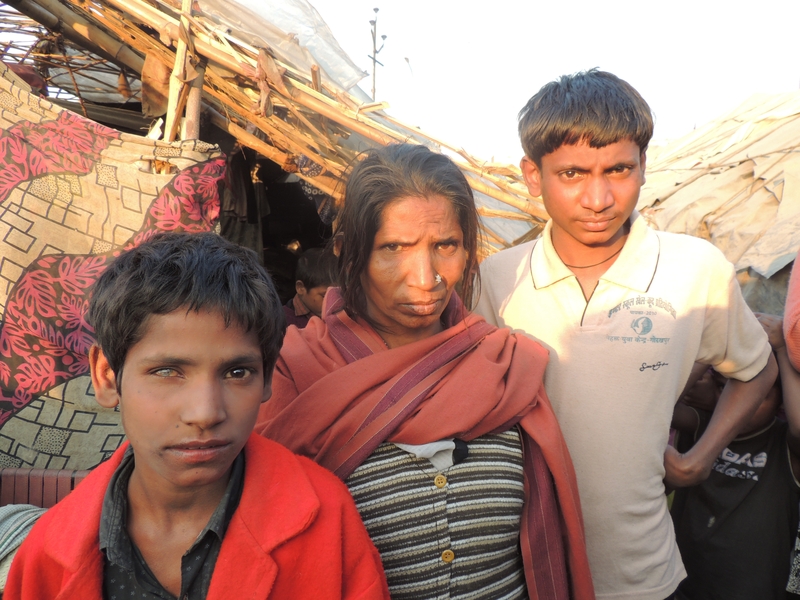 Sambaji and his brother Bati blended into the melee of outpatients waiting outside The Leprosy Mission’s Barabanki Hospital on a bright winter’s morning. Wearing a red felt jacket several sizes too large and mismatched shoes, eight-year-old Bati stuck to his older brother’s side. 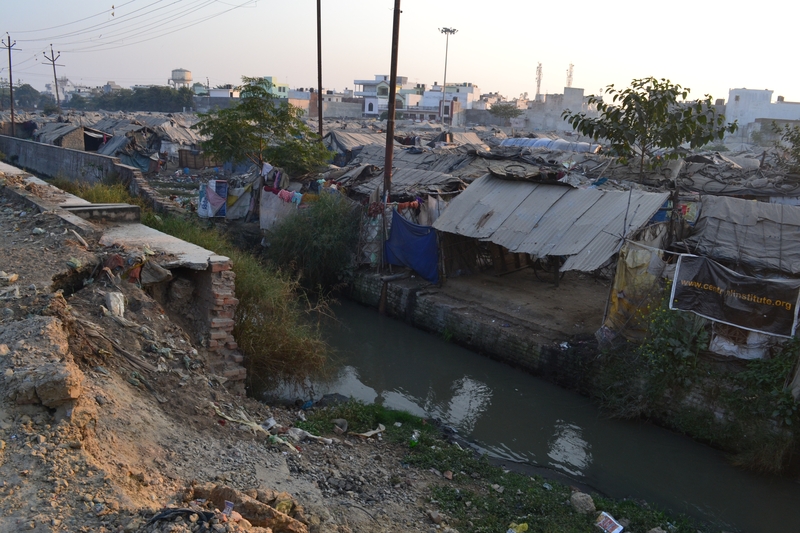 The pair had left Indranagrar slum in Lucknow at daybreak and, several buses later, arrived at Barabanki’s bustling outpatients department. They say the British are good at queuing but not compared with the Indians. There appears to be no such thing as hospital appointment systems. People are simply pleased to be seen and patiently wait for however long it takes. Sambaji, 14, and Bati have nine siblings. Their mother Raj was recently diagnosed with leprosy at Barabanki Hospital and had been encouraged to check all her children for tell-tale patches on their skin. It emerged Sambaji and Bati had fallen prey to the disease and the three of them were being treated, free of charge, with multidrug therapy (MDT). But while Raj and Bati were fortunate enough to escape disability, Sambaji’s hand has begun to ‘claw’. Sambaji is lucky though. He comes from a poor yet supportive family and neighbourhood. We gave him and Bati a ride home from clinic and were escorted through the slum , followed Pied Piper-style by a throng of children, to the Kumari family home. What from the road appears to be a dismal, grey and, I wrongly surmised, stinking and squalid settlement was actually a well-tended community with a distinct sense of pride. Neat channels connected clusters of make-shift shelters and there was a sense of trust and acceptance between those living there. Inside the Kumari home the bare floor was swept clean and the few items of clothing owned strung from the ‘frame’ of the house. The family’s possessions amounted to a few cooking utensils and a pair of garden chairs on which a couple of members at a time could sit and watch the world go by. It did occur to me that there scarcely seemed room for the entire family to lie down and sleep. Perhaps the same system operated. Sambaji and Bati’s parents made their way home from work hearing en route visitors awaited them. Sambaji’s father is a rickshaw driver and his mum a cleaner. They were welcoming and, as if from nowhere, the entire Kumari family congregated, happy to be united at the end of the day. Despite stigma surrounding leprosy being rife in India, the community appear unphased by Raj, Sambaji and Bati’s predicament. But because of his clawed hand giving away his leprosy status, Sambaji’s life is on the cusp of being ripped apart. While the MDT is ridding his body of the disease, his hand is destroying any chance he might have of becoming self-sufficient. Uneducated, his prospects are limited. But his hand is his biggest obstacle and is already causing him to be thrown out of cleaning jobs unpaid when an employer clocks it. The 14-year-old has grasped that his future will be tougher than that of his siblings. Sambaji’s only hope is The Leprosy Mission. It is hard to believe that reconstructive surgery can restore mobility to his hand. And despite his lack of basic schooling, there are skilled jobs that Sambaji can train to do at one of The Leprosy Mission’s six vocational training centres in India. It is humbling to know that somewhere in the heart of an Indian slum, a young boy holds onto this hope as the key to his future.